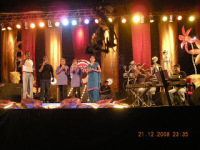 Did you miss being with us during our Audio Album Launch or watching our live performance ? We understand how it feels to miss a great event that can be in your ever lasting memory. Hence we had the shutterbugs capture some of our precious moments that can speak the tunes of our music. Enjoy the memories.